Nonantum Capital Partners announced that it is partnering with Ken Kellaway and David McLaughlin to re-capitalize RoadOne IntermodaLogistics, a company based in Randolph, Mass., that provides container drayage, transloading and warehousing services at ports and rail terminals throughout the United States. Kellaway is chairman and CEO and McLaughlin is chief operating officer and chief financial officer of RoadOne. Under terms of the transaction, Nonantum will acquire the equity previously held in RoadOne by another investment firm. Tritium Partners, based in Austin, Texas, acquired a majority stake in RoadOne in 2015. Over the past three years, RoadOne has expanded from 40 to 60 locations and completed four acquisitions. In 2017, RoadOne generated revenue of $175 million and ranks No. 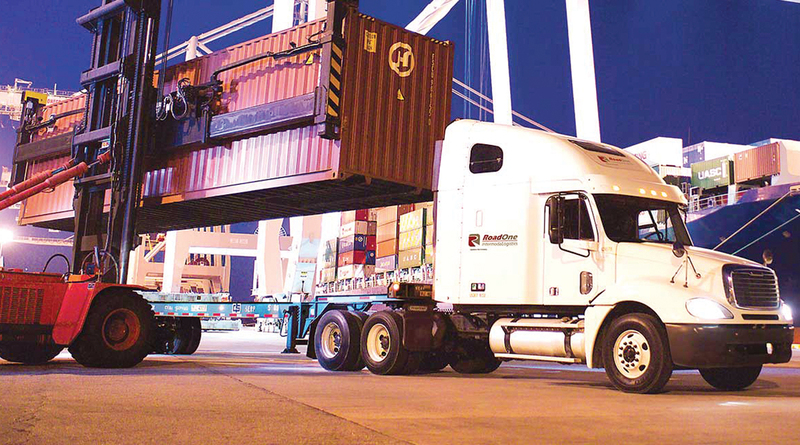 10 on the Transport Topics list of top for-hire carriers in the intermodal/drayage sector. RoadOne’s Kellaway said the new investment represents an opportunity to continue the company’s growth. Nonantum was established in 2018 by a team of executives as a spin-out from Charlesbank Capital Partners. RoadOne is the second deal competed by Nonantum since the Boston-based firm received more than $385 million in capital commitments to launch the new private equity fund in April 2018. The first transaction, completed Jan. 2, was the purchase of ProVest, a legal support services firm based in Tampa, Fla.